Anyway, I know Christmas has long gone, but I'm far too impatient to leave Christmas Eve until next year! My mum bought me this one because she wanted to get me a Christmas candle, and she knows Christmas Eve is my favourite day of the year. Pretty sound reasoning there! 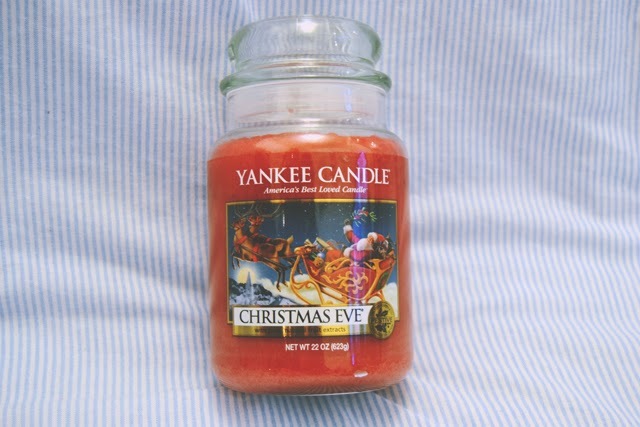 Luckily, it turns out that Christmas Eve is one of my favourite Yankee Candle scents. I love it so much that I bought a small candle especially to go in my bedroom so I can be surrounded by the fragrance at all times! The scent is a sweet, fruity festive fragrance with notes of sugared plum and candied fruits. There's also a hint of spice in there but it's very subtle. The whole scent is very delicate: When sitting right next to the lit candle, it's hard to detect but when entering the home from the outside, it hits you with the gorgeous sweet festive fragrance. I absolutely love it! It's definitely one of my favourite festive candles (Red Apple Wreath is my favourite, in case you were wondering) and I totally recommend it for the Christmas season. Haha I think it's both! I bought my sister a large jar of Christmas Eve for Christmas, now I want my own. I have a little votive and I can't wait to light it. You definitely need to buy your own jar! Ooh, a salted caramel candle? I love salted caramel, but somehow can't quite imagine it working in candle form. I'll be interested to know what you think of it when you get around to that review. From smelling it in the jar, it just smells very caramel-y. Lovely! 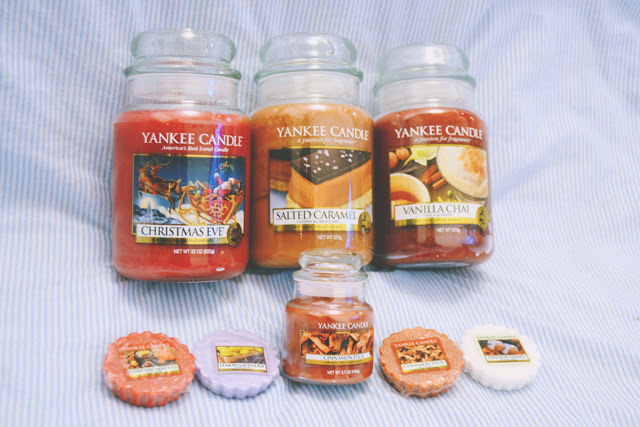 piney and spicey and mmmm :) gotta love Yankee Candle!!! I wasn't a fan of Christmas Tree. I think it was the pine I didn't like.